LEAP’s client, a housing association, was considering the purchase of brownfield land in west London. The site had previously been used as a margarine factory and the client recognised that there was the potential for in-ground risks to be present, including significant buried structures and ground contamination. They contracted LEAP to provide prior-to-purchase geoenvironmental due diligence expertise. LEAP liaised closely with the client and with the businesses present on-site to plan and execute an intrusive site investigation. This work was commissioned to allow the client to understand the magnitude and nature of ground-related risk prior to site purchase. A full topographical and utility survey was undertaken to facilitate safe drilling works. 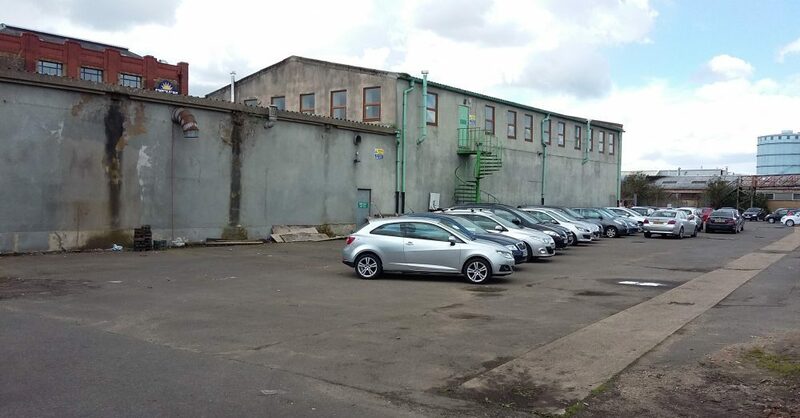 Boreholes were drilled through external car parking areas and within the commercial premises. The scope of work and exploratory positions were chosen cognisant of the client’s need for data and the occupiers’ commercial activities. The site works were completed within the agreed timeframe and significantly under budget. The cost saving allowed the client to commission further work from LEAP, including liaising with one of LEAP’s regular demolition and remediation contractors. A cost estimate was provided for site preparation works, including demolition of the existing buildings, removal of underground structures and remediation of ground contamination. Thus, LEAP delivered a greater level of detail and information, whilst remaining below the initial budget. Detailed desk study, including compilation of historic building footprints. Liaison with ongoing commercial tenants. Ground Penetrating Radar survey for utilities and historic foundation structures. Intrusive investigation, including concrete coring and windowless sampling. Groundwater and ground gas monitoring. Interpretative geoenvironmental due diligence report. LEAP was commissioned to undertake a prior to purchase geoenvironmental investigation for due diligence purposes. LEAP completed a full intrusive site investigation of a busy multi-use commercial premises without adversely impacting on site operations. The work provided the client with valuable information on the extent of ground contamination and the presence/ absence of any significant below ground structures. This information was key to the client deciding whether or not the project was financially viable.